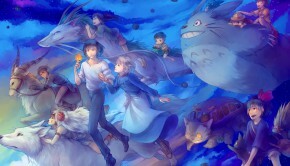 STUDIO GHIBLI, the animation studio behind the Oscar-winning feature film “Spirited Away”, has frequently been described as Japan’s answer to Disney. It’s perhaps closer to the truth to call it Japan’s antidote to Disney. 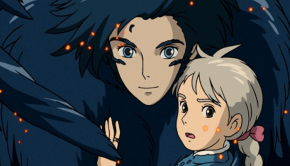 Studio Ghibli’s lush, hand-drawn, 2-D animation, disregard for Hollywood narrative formulae and guiding philosophy—that animated films can be for grown-ups—are sadly foreign concepts in the paradigm of modern animation. 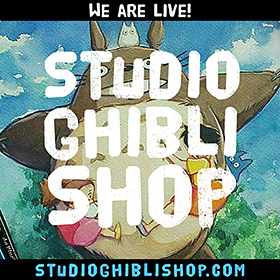 This is the studio that released the whimsical cinematic lullaby “My Neighbour Totoro” on the same bill as “Grave of the Fireflies”, a devastating second-world-war drama that Roger Ebert called the most realistic animated film he’d ever seen, not because of how it looked, but how it felt. 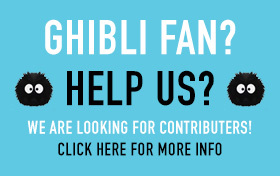 In the wake of the retirement of its visionary director, Hayao Miyazaki, last year, Studio Ghibli is taking an indefinite break from the production of new feature films, citing high production costs. 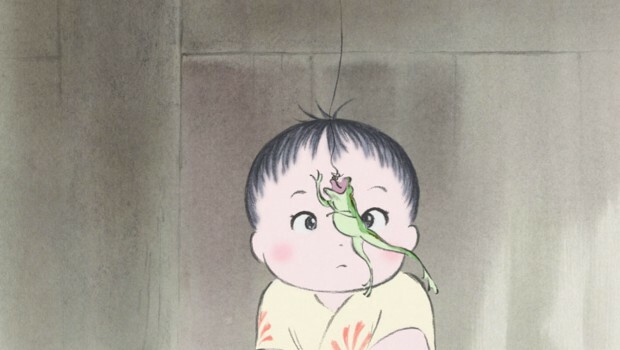 This is a profound loss to animation and cinema, and “The Tale of the Princess Kaguya” is a vivid, bittersweet illustration of all the reasons why. With no British or American release dates announced for the studio’s latest effort “When Marnie Was There”, “The Tale of the Princess Kaguya” may go down as Studio Ghibli’s swansong on the international scene. 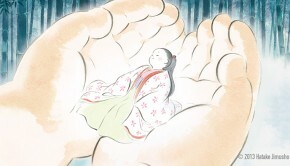 Directed by Isao Takahata (director of “Grave of the Fireflies”), “The Tale of the Princess Kaguya” is a gorgeously asymmetrical blend of celestial fantasy, folksy parable, romance and coming-of-age story, beginning with the discovery of a tiny, thumb-sized princess in a stalk of bamboo. The princess magically transforms into a baby who grows, at an alarming rate, into a young woman of exquisite beauty, and is whisked away by her adoptive parents to a regal life more befitting her. Not only does “The Tale of the Princess Kaguya” set itself well apart from anything you’re likely to see by Disney these days, it’s also miles away from Studio Ghibli’s own sumptuously detailed style. Instead, Mr Takahata has created a striking and expressionistic storybook aesthetic, with a subdued watercolour palette, sketchy character outlines and plenty of white space. In an age saturated by computer-generated gloss, these visuals make us aware of the artists and their handiwork. It all feels as charmingly antiquated as the handcarving of wooden bowls depicted in the film. In the movie’s most breathless sequence, the princess escapes from her royal mansion and races headlong into the night, gowns and long hair fluttering—at which point the visuals burst into vibrant life, sweeping up the audience in a blurry rush of frantic graphite strokes, as if the film itself has become gloriously liberated from its constraints. The captivating sequence is accentuated by the portentous soundtrack of the composer, Joe Hisaishi, another artist whose signature style has become beloved of Ghibli fans. As wondrous as it is, it’s the sort of stylistic flourish that has the potential to alienate Western audiences accustomed to more homogenised animation. When a sample of these scenes was revealed in an online teaser trailer in 2013, one American film site suggested that it resembled “unfinished storyboards waiting to be animated”. And, naturally, “The Tale of Princess Kaguya” has been dubbed into English for its American release, an egregious (though well-meaning) practice initiated by Disney even for films clearly intended for mature audiences capable of reading subtitles. With that kind of treatment to be expected at the hands of mainstream Western audiences, it can be little wonder that a dazzling lodestar on the international animation scene is fading away.